Cloverdale Village is a suburban neighborhood nestled between Huntingdon College and Alabama State University. Known for its turn of the century historical flair, Cloverdale is one of the most sought after residential areas of the city. However, there are a few restaurants that also bring other residents in Montgomery into Cloverdale for great food. One of these places is Cafe Louisa. 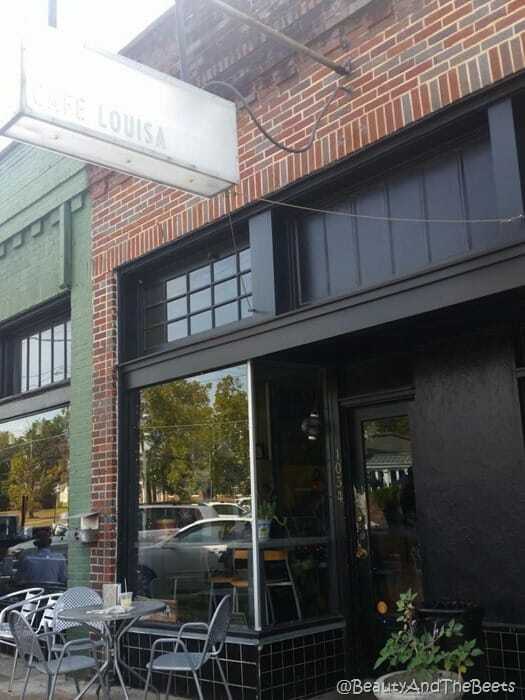 Cafe Louisa used to operate a small space on East Fairview Avenue, but has recently moved to a more modern location on the newly built up Cloverdale Road. However, while the space is new and updated, the menu has not changed. 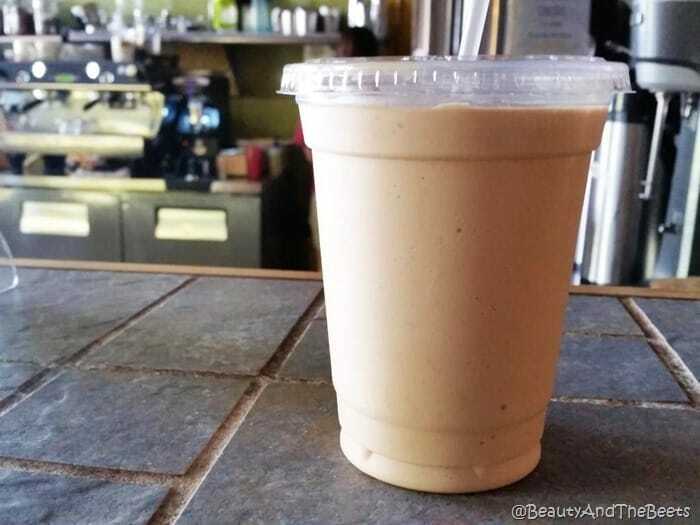 Cafe Louisa is still offering up blended coffees and light meals. I wanted to try the Caramel-icious coffee beverage and it did not disappoint. The base of most of the blended coffee drinks is “toddy” – a java concentrate made from cold brewed coffee. Also mixed into the Caramel-icious is caramel gelato and house caramel. Both Mr. Beet and I were intrigued by the light food offerings, splitting a Caprese salad and a Hummus Veggie Sandwich. 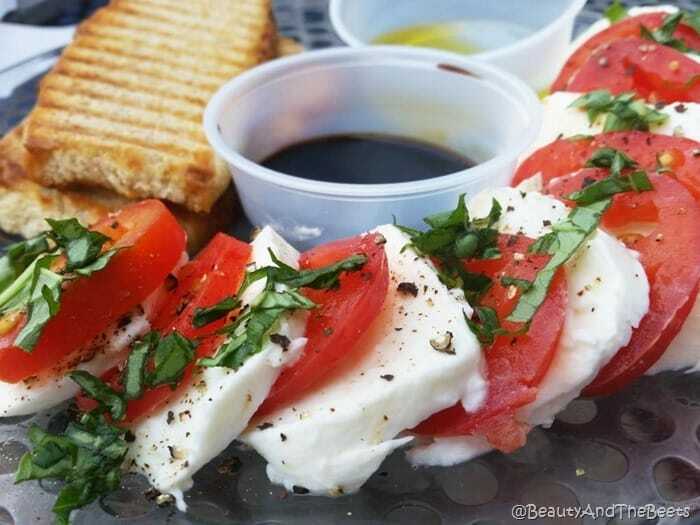 The Caprese Salad consists of fresh mozzarella, roma tomatoes, basil, cracked pepper, toasted foccacia, extra virgin olive oil, and balsamic vinegar. It was a filling plate, yet light enough to not over stuff you. 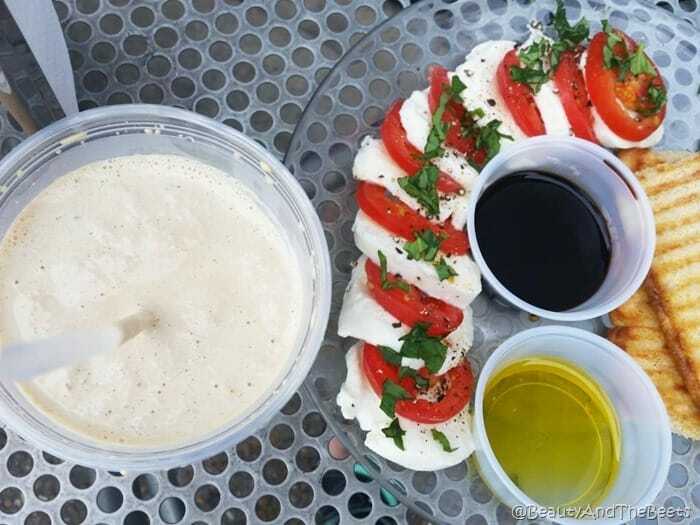 And most importantly, all the ingredients were fresh. 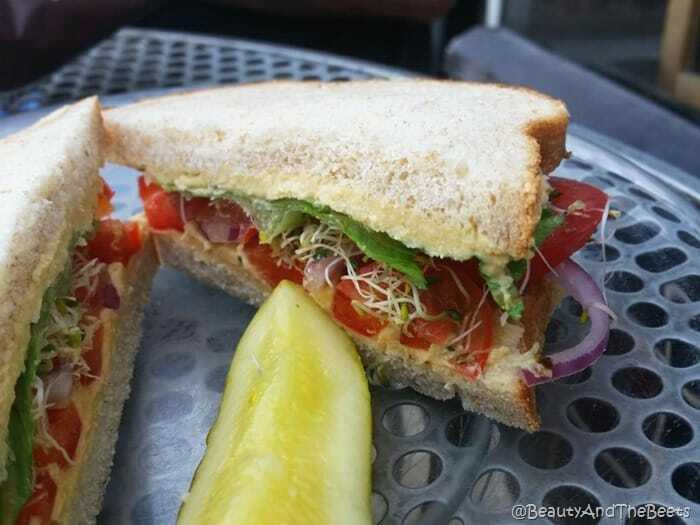 The Hummus Vegetable Sandwich was delicious with hummus, red peppers, red onion, roma tomatoes, fresh mozzarella, red onion, lettuce, and sprouts on sprouted multi grain bread. 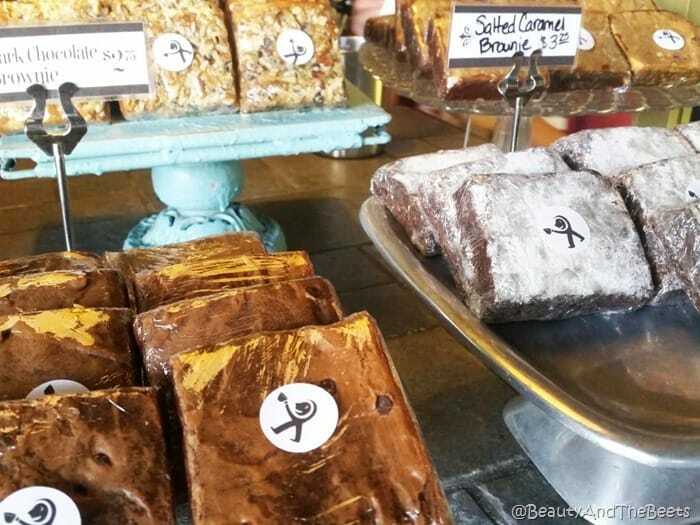 Very few places can offer Vegetarians such tasty options and Cafe Louisa certainly delivers. However, not everything on the menu at Cafe Louisa is meant for a sit down meal. 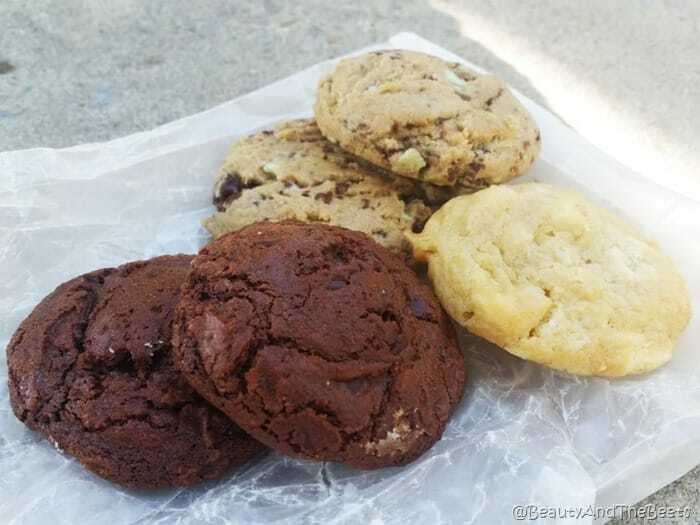 There are plenty of fresh bakery items as well such as brownies, cookies, and pastries. Cafe Louisa is worth your time if you have leisurely morning or are craving a light and satisfying lunch. 4 1/2 out of 5 sprouts.